"The best part of wakin' up..." We bet you can finish the line yourself. Few brands can boast a ubiquitous a tagline as Folgers coffee, and now, the Grey Agency, a major international advertising firm whose flagship office is in New York City, is offering big bucks (a low five-figure amount) to an independent band or artist who best reimagines the jingle in their own way. Not only that, but Grey is also seeking a killer, 60-second instrumental for LongHorn Steakhouse commercials (which can be something preexisting, as long as it's only a minute long). To find out more, we went right to the source. 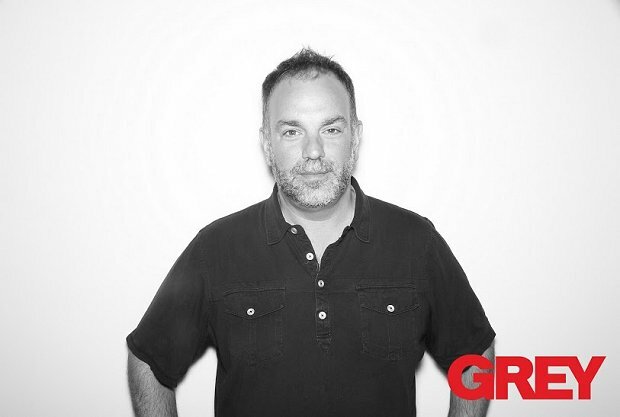 Josh Rabinowitz, EVP and director of music for the Grey Agency, has been associated with music and advertising for 19 years as a composer, arranger, producer, contractor, musician, and supervisor. Along with Grey's in-house music team, which oversees and guides all music initiatives associated with the company's creative output, Rabinowitz is seeking truly stellar entries that complement these brands artistically. Want to enter but concerned about going up against bigger bands with professional recordings and followers in the thousands? Don't worry, says Rabinowitz. It's "strictly about the music," not fanbase size or even production value. In fact, he says, the only way to not get selected is by failing to read the details of the contest, particularly when it comes to Folgers' iconic jingle. Learn more about this once-in-a-lifetime opportunity to work with two legendary brands and get the low-down on how to get selected from Rabinowitz himself. Why did you decide to partner with Sonicbids and Midem to license music from independent acts instead of bigger, more recognizable names in music for the Folgers and LongHorn Steakhouse opportunities? This is the eigth year of my partnership with Midem's Sync Sessions. We've had great successes with these contests over the years in finding great music for a variety of brands. These contests aim to find diamonds in the rough, helping to expose talent, tapped and untapped, to help connect our brands with consumers. This year, we have two excellent clients who truly respect the importance of music and how their brands should sound. What are the top three must-haves you’re looking for in submissions? What's the process you go through when evaluating songs for licensing opportunities like these? Does [the submission] represent the brand's equity in a meaningful way? Will consumers relate to and remember the track? If two tracks were both great, what might persuade you to choose one over the other? Which track will connect with consumers in a more meaningful way. It's a purely subjective, yet pretty expert point of view. Each of us on my music team has varied tastes, but we all understand the craft of making music work within a branded context based on a brief, a concept, and the arch of a spot. The Folgers jingle, in particular, has been reimagined so many times by so many different artists. What's the company looking for this time around? Something that adds something new to the mix – a new spirit, sound, or aura. It's an important part of the brand's equity, so we're hoping for something special. Be unique without being too experimental. It's like doing a great cover – you have the cache of the song, give it your own personal voice. What's the number-one thing you wish musicians understood better about music licensing for ad campaigns? There are many people involved outside the music people in any collaborative advertising execution. Many cooks in the kitchen, many opinions, thus something that one exec loves could be hated by another. Advertising is a collaborative effort with so many players, so expect the unexpected. After these opportunities close on Sonicbids, what are some other ways that independent artists can get their foot in the door with ad agencies like Grey for licensing? To get your shot, submit your version of the Folgers jingle and/or your original LongHorn Steakhouse instrumental for FREE by June 1!